Colds that persist and show little sign of improvement may be symptomatic of a bacterial sinus infection. A sinus specialist can help determine the type of sinusitis that you or a loved one may have. They can provide appropriate treatment strategies and suggest ways to prevent sinusitis in the future. Sinusitis refers to an inflammation of the sinuses and nose lining and commonly occurs in children. There are two types of sinusitis. A cold, otherwise known as viral sinusitis, occurs when viruses infect and cause inflammation in the sinus membranes. On the other hand, bacterial sinusitis occurs when the sinuses become infected with bacteria. Both types of sinusitis involve the inability of mucus to drain because of swelling in the sinus lining. The various symptoms include fever, headache, fatigue, nasal congestion, thick discolored discharge, and diminished sense of smell. Data gathered by the National Center for Health Statistics in 2016 found that the total percentage of adults diagnosed with sinusitis in the United States is 11.0%. Sinusitis is the second most prevalent respiratory disease after asthma. 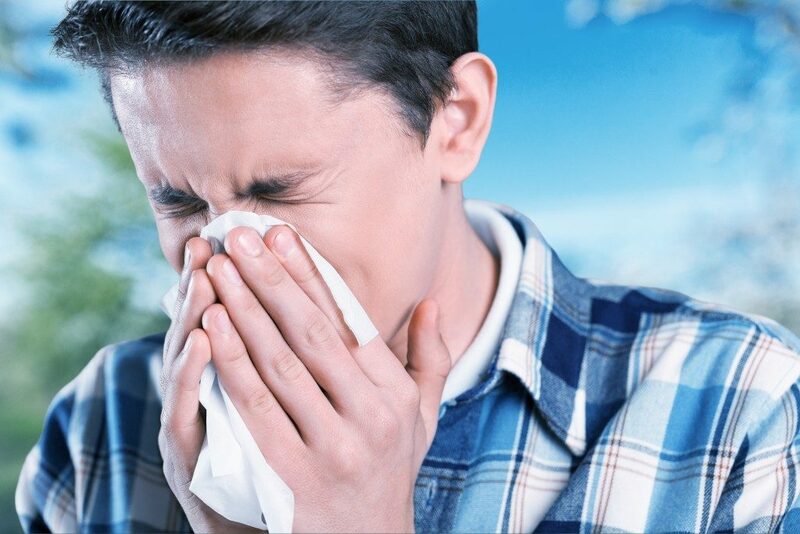 It can be difficult to determine whether an illness is a viral cold or if it involves a bacterial infection of the sinuses, especially during the first few days of illness. According to Dr. Ahmad Sedaghat, an ear, nose, and throat (ENT) doctor, it can be difficult to differentiate between these two sicknesses because their symptoms overlap and manifest with similar characteristics. Symptoms of a common cold will improve within a week. In contrast, the symptoms of a bacterial sinus infection will not improve and will continue to persist beyond a week. Further, patients may experience a severe headache behind or around the eyes, swelling and dark circles under the eyes, and persistent bad breath. A pediatrician or an ENT specialist can determine if an illness is an uncomplicated cold or a sinus infection after they examine a child and know about the progression of the child’s symptoms. If they cannot make a certain diagnosis, a doctor may elect to order a computed tomography (CT) scan to confirm a diagnosis. Doctors will then be able to treat the cause of infection appropriately, and recommend ways of alleviating the discomfort from the symptoms. Treatment for bacterial sinusitis generally involves relieving sinus pain, nasal congestion, and headaches with the use of antibiotics, saline nose drops, and pain medication. There are steps you can take to reduce the risk of sinusitis in both you and your children. Children can use saline sprays or washes to keep their nose moist. Humidifiers can also add moisture to the air and prevent irritation that can come from dry indoor environments. Limit the time that you and your child spend in chlorinated pools because the chemicals can irritate the nose and sinuses. Furthermore, keep up to date when it comes to relevant immunizations and avoid close contact with people who have colds and those suffering from upper respiratory infections. It is important to differentiate between the two types of sinusitis in order to ensure that the treatments provided are appropriate.